Jacinda and her Texas brethren will probably call this sacrilege, but I like to make BBQ ribs in the slow cooker. It’s so easy and so mouthwateringly delicious. I usually have the most energy first thing in the morning, and knowing that I’ve already prepared dinner gives me a boost for the rest of my day, knowing that I don’t have to worry later about what I am gonna cook or if anyone is going to have a meltdown because there was too much homework and then I’ll forget to marinate the meat, etc. So slow cooker it is! 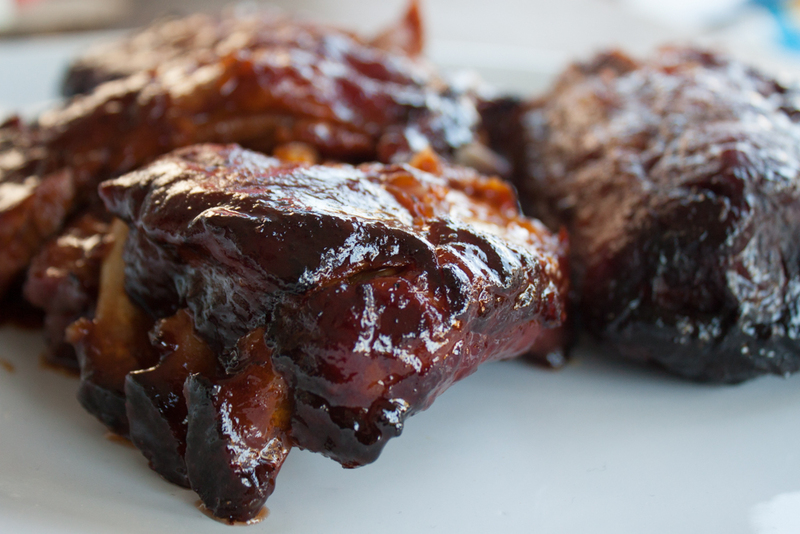 This crock pot bbq ribs recipe is so easy and the ribs are fall-off-the-bone delicious. My family loves ’em, I hope yours does too. First things first, you’ll need some pork baby back ribs (about 3-4 pounds for a standard rack). Cut them so they will fit into your slow cooker and generously season them with salt and pepper. Preheat the oven to 400 degrees. Place the ribs in the oven for 15 minutes, then turn them over and cook for another 15 minutes. This browns the ribs, and lets some of the fat drain off, so they don’t get sloppy/watery in the crockpot. While the ribs are in the oven, mix your sauce. 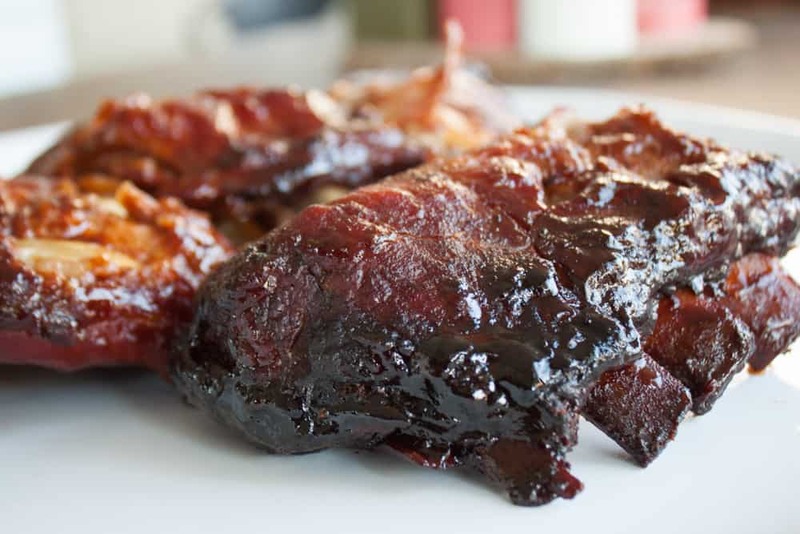 Feel free to mess with this recipe as much as you like, this is how we do it (we like our ribs sweet, not spicy because my daughter is anti-spice, but feel free to spice it up with a dash of hot sauce or a teaspoon of crushed red pepper). Whisk all those ingredients together. Place the ribs in the crockpot, then pour the sauce over. 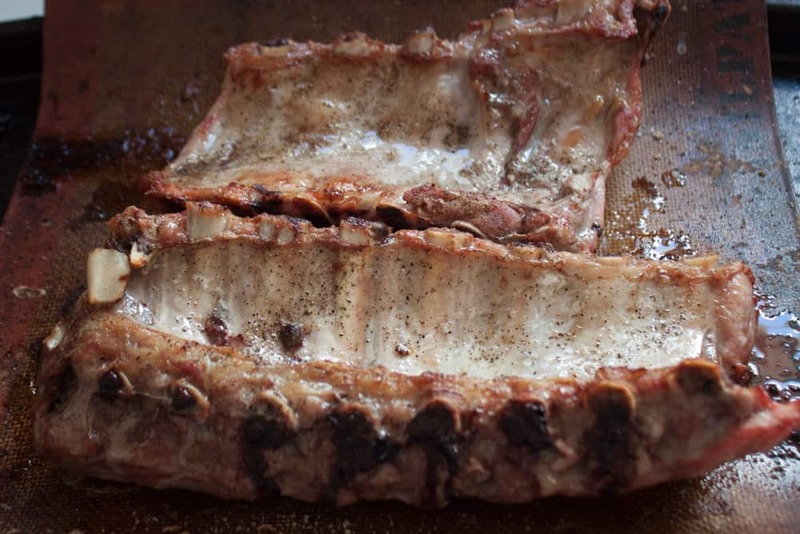 Use tongs to turn the ribs a few times and coat them in sauce. Turn your slowcooker and low and cook for 8 hours or so, until the meat is falling off the bone. If you remember, stir them around once or twice throughout the day so they don’t stick to the sides, but if you forget, that is fine too. For the last 1/2 hour or so of cooking, remove the lid to let the sauce thicken a bit. Eat! 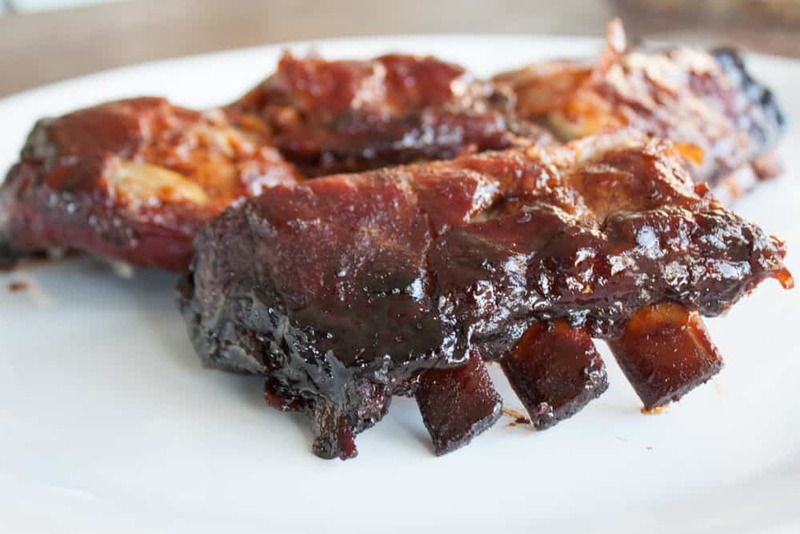 Make fall-off-the-bone delicious BBQ ribs in your crock pot with this Easy Crock Pot BBQ Ribs recipe. Bake ribs for 15 minutes, turn them over and back for another 15, to get a nice brown on them. Whisk all remaining ingredients in a bowl. 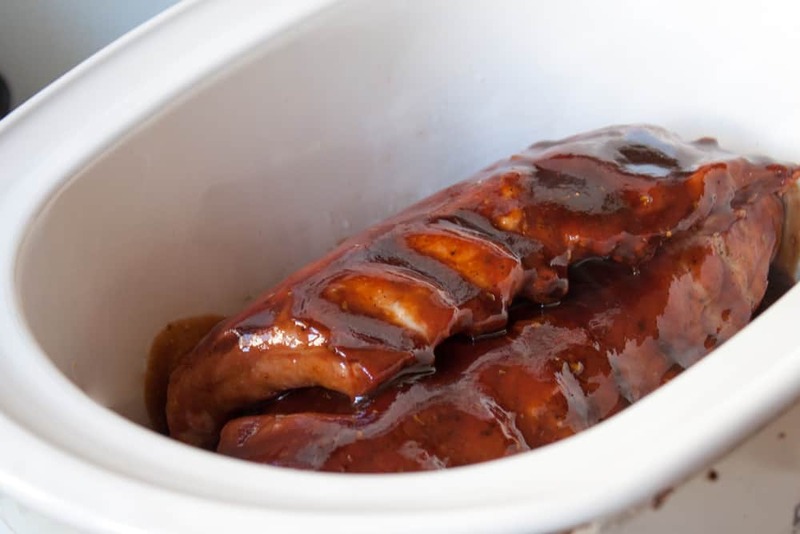 Place ribs in crock pot, pour sauce over. Turn ribs a few times to coat in sauce. Slow cook for 8 hours or so on low. Remove lid for the last half hour of cooking to let the sauce thicken. That looks delicious because a lot of work went into it. Thanks for sharing your recipe. Great recipe! Fantastic flavor. The only change I made was to cut the cooking time down to 7 hours. At 8 the meat was falling off the bone too much. love the idea about putting them in the oven first, Played with the sauce recipe more to my taste.So this recipe was simple and fast and worked just fine. Try it. Easiest and most delicious!! Will never do ribs any other way again. When they say fall off the bone, they really mean it! So glad you liked this method! It sounds odd at first but it really does make for delicious ribs! My crock pot has a thermostat. Where do I set it? I’ve made this for my family and it was a hit!!!!!! 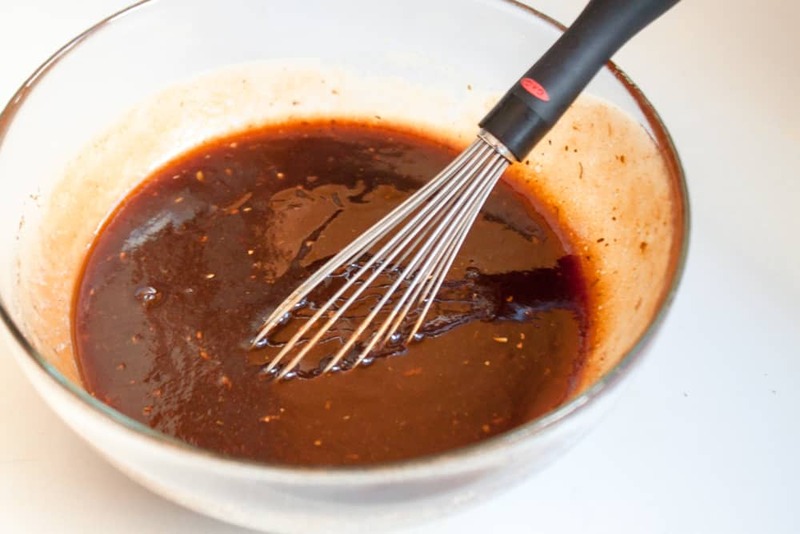 When I add sauce at beginning, tends to have a burnt taste, so I add last 1 1/2 – 2 hours. Cool recipe! Thanks for sharing!